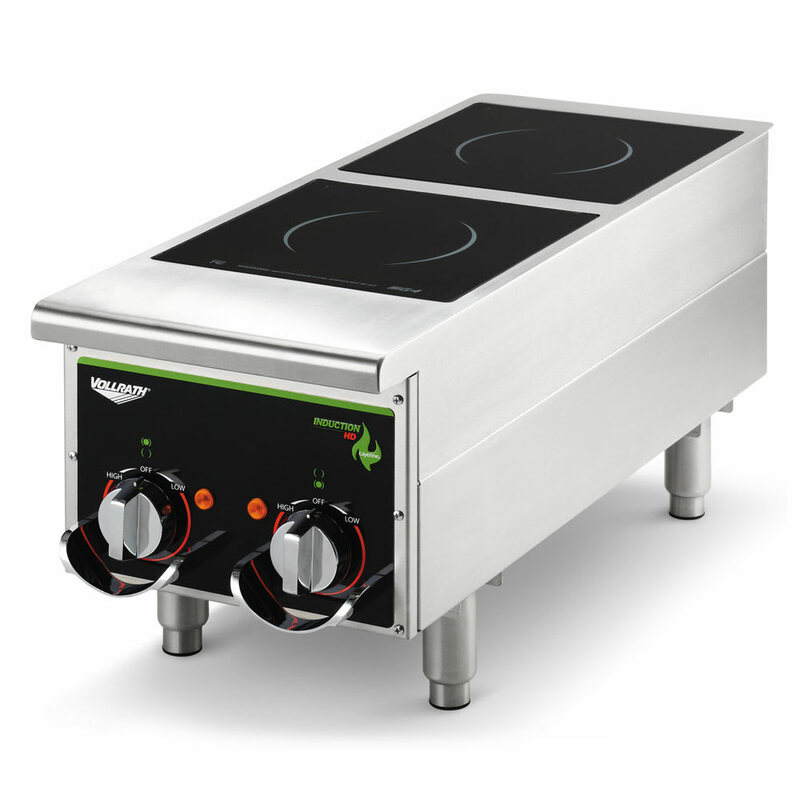 Giving sensitive low-end control for cooking sauces, milk and cream-based products is one of many things that Vollrath's 912HIMC commercial countertop induction range can help you accomplish. It features a stainless steel case frame with a ceramic top that can be easily cleaned. It also has several safety features that include over-heat protection, small-article detection, a pan auto-detection function and an empty-pan shut-off. Multi-sensor solid-state controls with digital display are also featured. Timer up to 180 min.